This KitchenCraft mug is made from china and features a large handle and a footed base for an elegant style. 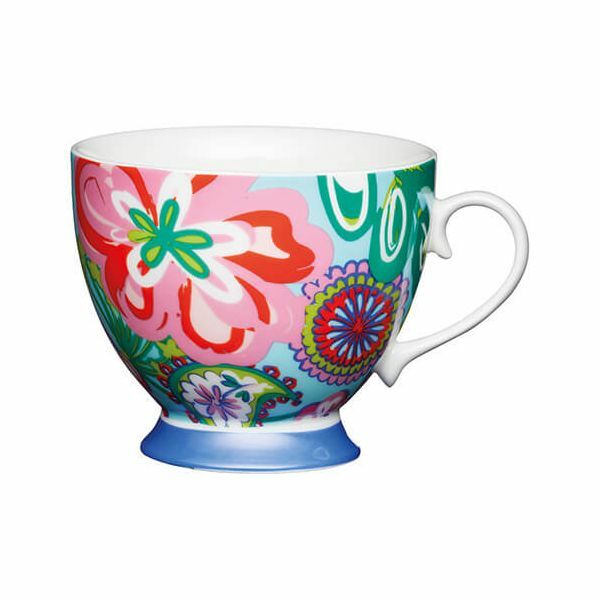 Featuring a bright colourful flowers and swirls this pretty mug is perfect for gifting or for home as part of a matching collection. The footed mug is suitable for warming in the microwave and dishwasher safe for easy and convenient cleaning. The bright floral KitchenCraft mug has a capacity of 400ml.